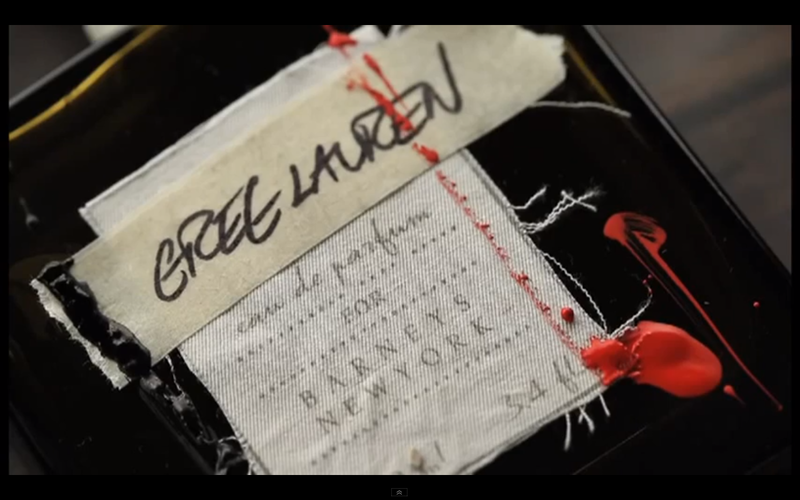 Back in October, the launch of artist Greg Lauren’s limited edition fragrance collaboration with Barney’s New York came across the radar. The custom embellishment of fabric, paper and paint is impressive in itself, but having seen the creative journey of the bottle in video “The Making of an Original” left a lasting impression of what bespoke means. Today a dear friend gifted me the fragrance. Beyond the incredibly special scent created with Master Perfumer Ralf Schweiger, I recalled the thought and artfulness that went into crafting something so beautifully memorable. The limited-edition of 3,000 can be purchased at Barney’s New York. I Hate Perfume. It’s a provocative statement that also happens to be the name of a niche fragrance house started by Christopher Brosius… and it is also his manifesto. While it seems like a treasonous position for a perfumer, CB I Hate Perfume creates unusually intriguing fragrances that are overtly based on notes about memory or moments in life. This recently released video conveys relevance of smell, Brosius’ view of what fragrance is not supposed to be, and his creative process. 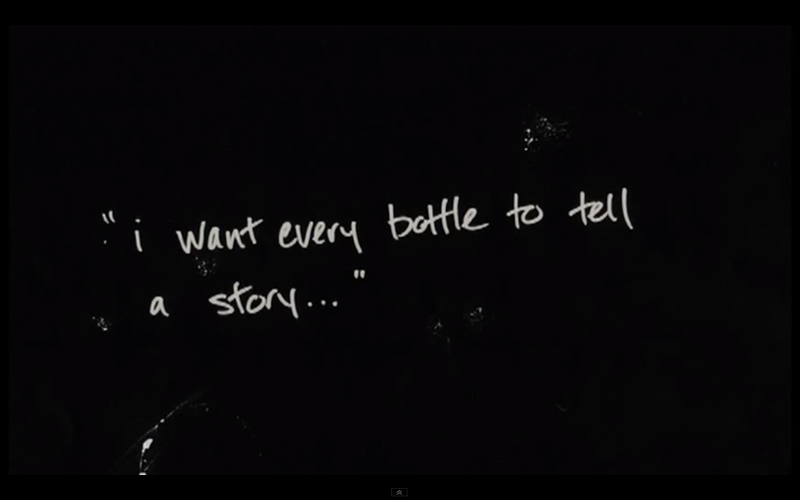 It is notably authentic and direct and a real contrast to the way many fragrance brands present their stories. The CB I Hate Perfume website is not the most polished of experiences, but there is certainly abundant content to feed the curious mind. Do you know Valentina? Or where she is in Rome? As Valentino Parfums introduces their new Eau De Parfum Valentina, they ask you to discover this with the proposition that the city is your source of inspiration: feel it’s heartbeat and capture it’s energy. It is an invitation into Valentina’s world. The Valentina Website experience is a wonderful video and interactive adventure through Rome at night in search of where Valentina might be gallivanting (she leaves clues) as well as an opportunity to view the bottle, olfactive notes and story behind the fragrance. The most engaging part of the experience is the invitation to share your vision of a Valentina night in your own city via #MyValentinaNights on Instagram and Facebook – and possibly find yourself following her mischievous footsteps in Rome. Christian Dior has just launched one very dazzling multi media campaign to launch 2 summer variants of the fragrance Dior Addict: Eau Sensuelle and Eau Fraiche. Together, the tremendous talents of Baz Luhrmann and Tim Walker craft an energetic, retro themed tribute to Roger Vadim’s classic film “And God Created Woman” through short film (and of course, a TV spot) and stills, respectively. Daphné Groeneveld is effortlessly vibrant as she channels Bridget Bardot in her Saint-Tropez romp from beach to bar. Apart from smelling the fragrances, one can explore the experience through traditional advertising, web, and social media. There is even an app available on iTunes… so many ways to get Addicted. For the budget conscious (or not), jet setting to the world’s most glamourous destinations is now more within reach, thanks to the tremendous talent of Gérald Ghislain of Histoires de Parfums. Leave the passport behind and travel olfactively with the help of the new collection: The Scent of Departure. Abu Dhabi, Paris, Bali, Istambul, and New York, to name just a few among the 20 men’s and women’s destination fragrances and all are possible right at end of your nose. The smartly designed packaging is extraordinary, too. When in the neighborhoods of London, Paris, or New York City, the fragrances can be discovered at Harvey Nichols, Arty Dandy, and Henri Bendel, respectively. Truly discovering fragrance a few years ago changed my world. Now, life not only smells different, it looks, tastes, sounds, and feels different. Coincidentally, the fragrance collection that woke me up is called SixScents Parfums. The intent of this limited edition collection is to transform the language between art fashion, design and scent. 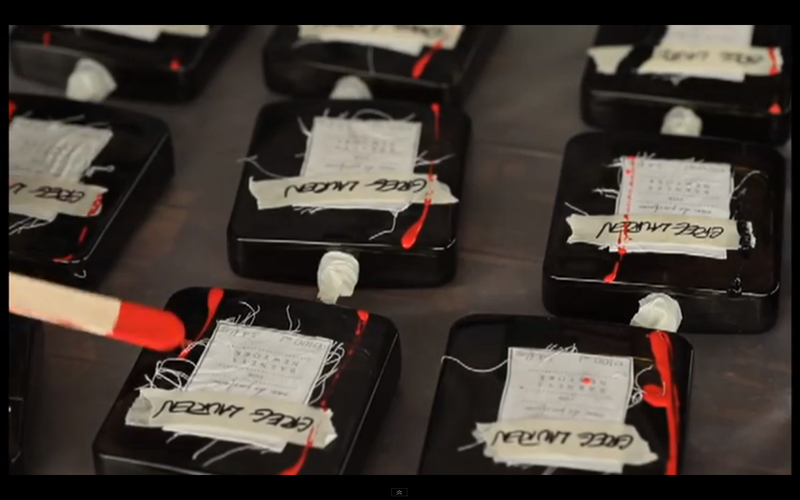 Each year 6 fragrances are created through artistic collaboration and multi-sensory experiences. Below I present 3 of these memorable fragrances accompanied by a visual representation of how I visualize the scents. If I could curl up in a cocoon of fragrance, “M” is my blanket. The animalic nature of it is intoxicating and deeply comforting for me. It is a collaboration between perfumer Yann Vasnier and the ladies behind Ohne Titel: Alexa Adams and Flora Gill. Sophisticated electricity is what comes to my mind when I smell this very modern fragrance. If it is possible to bottle the beauty of the first few drops on pavement before a dramatic thunderstorm, “Can’t Smell Fear” would be it. That refreshing, metallic smell in real life is so fleeting, until now. And we have Natalie Gracia-Cetto and Junn.J to thank for creating it. The moment I met with “Nicoll 17”, I was taken. What is appealing is the bright, green freshness, but also there is a sparkling ethereal power behind it that is unlike like anything else. Rodrigo Flores-Roux paired up with designer Richard Nicoll to conjure this lovely fragrance.